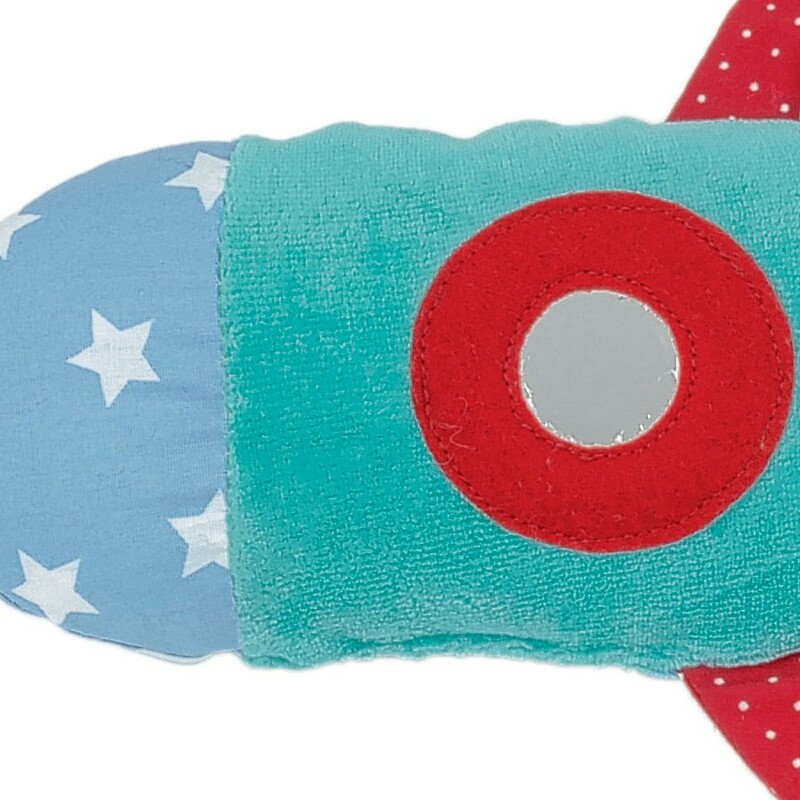 The Apollo 99 is a colorful activity toy with a teething ring, an internal rattle, crinkle film, and squeaker, a circular mirror, and loops and knots for curious fingers. The fabric surfaces have different textures to enhance the child's experience. Learning to look and grasp is essential for healthy development of your baby and this toy not only awakens curiosity but encourages play. 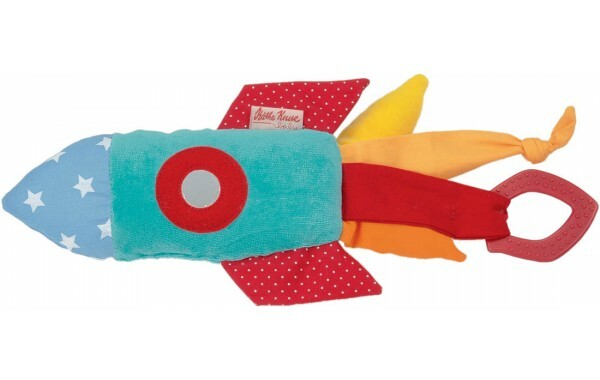 The Apollo 99 is suitable for finger play or to comfort a teething baby. 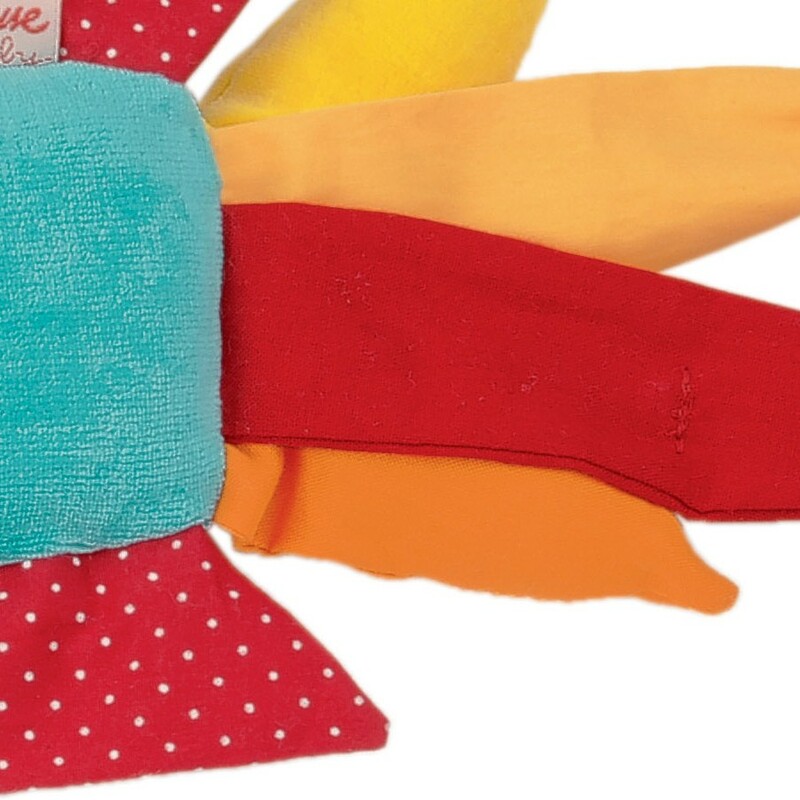 It is a superb first grasping and activity toy.